In 1766 explorers started settlements at the villages of Winterport and Marsh Stream in the Town of Frankfort. On March 12, 1860 the Town of Winterport was incorporated and had a population of 2380. Winterport’s harbor became the home to many far-ranging sea captains because it was the last open and unfrozen inland harbor on the deep and fast-flowing Penobscot River. Older homes, many built for Winterport sea captains, still stand along Winterport Village Streets. Today Winterport retains a 19th century charm that blends well with more than forty modern Main Street businesses. Winterport Village has a thriving downtown, where people can find restaurants, convenience stores, gift shops and businesses. Newly rebuilt sidewalks encourage people to stroll through the town where they can stop and listen to a concert taking place inside one of the Town’s most historic landmarks the Union Meeting House, built in 1834. This building houses a bell cast by the firm founded by Paul Revere, a steeple clock crafted by E. Howard Company of Waltham and installed in 1861, and a Masons and Hamlin organ. The Winterport Free Library is a beautiful stone building that was built at the beginning of the twentieth century by the town’s people. A hundred years ago our caring citizens began fighting fires and responding to emergencies. Today our Volunteer Fire and Rescue crew boasts a well equipped Fire Department and Ambulance Service. They provide highly effective protection for Winterport and surrounding communities with certified fire fighters and emergency medical technicians. Winterport is fortunate to have abundant natural resources including the Penobscot River, Marsh Stream, numerous brooks, acres of gravel deposits, rolling hills and hardwood forests. Such abundance allows our hard working businesses to prosper. The deep water Winterport Terminals has in the past, been the site for international shipping and frozen foods storage. The Winterport Marine and Boatyard provides dockage, repairs and services to pleasure boaters. Midcoast Marine offers tug services, while also providing repair’s and services to pleasure boaters. Due to the abundance of gravel in Winterport, several companies and municipalities have gravel operations in town resulting in numerous local employment opportunities. Some of the companies include Lane Construction Corporation, Hughes Brothers, Inc., H.E. Sargent, James Foley, S.J. Clisham, LLC, Johnson Construction, Vaughn Thibodeau & Sons, Harriman Brothers, DM&J Enterprises and R.B. Higgins Company. Winterport has a robust farming community which consists of six dairy, two beef cattle, two orchards and one tree farm. In 2003 Winterport completed, with Federal, State and private funds, a $6.5 million reconstruction of Main Street. The work included: the reconstruction of route 1A/Main Street through Winterport Village, the renovation of water, sewer, and storm drainage pipes, rebuilding of curbs and sidewalks and landscaping, in keeping with its historic heritage. 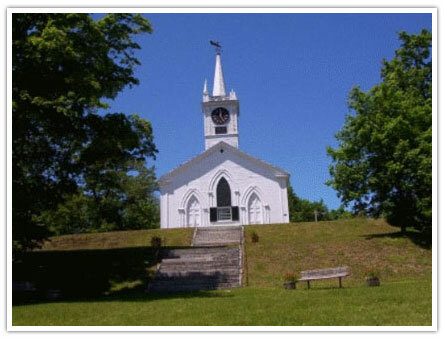 Winterport has three active churches: Winterport Baptist, Ellingwood Corner Methodist and Saint Gabriel’s Catholic. They provide food for residents in time of crisis through their non-denominational Neighbor's Cupboard. Our Churches are supported by active and caring Fraternal Organizations, including, the St. Gabriel's Ladies Action group, the Garfield Lodge #99 Independent Order of Odd Fellows, the Howard Masonic Lodge and the Knights of Columbus.Our citizens are involved socially through the Winterport Women's Club, the Historic Association, the Union Meeting House and the American Legion Argonne Post 138. The Town also provides various forms of recreation so residents do not have to leave town to be entertained. In the winter you will find the Riverside Riders Snowmobile Club providing events for snow enthusiasts. Spring, summer and fall there is golfing at Streamside Golf and you can practice driving at Sonny's Driving Range. The Winterport Dragway is one of two 1/8 mile strips in the State of Maine. There are meets every Sunday from May 1st to mid October. Biker weekend has been held at the Dragway for over ten years the week before 4th of July. The Winterport Open Stage sponsors two or three enjoyable theatrical stage productions every year. A new tradition has started with the Winterport Musical Festival that will be held during the month of August and will host groups such as the Kruger Brothers, Sista Sadie, Evergreen, Union River Band and many more. Our blueberry fields provide many enjoyable hours of harvesting for those who love to make homemade jams. On November 2, 2004 the voters of the Town of Winterport adopted a new Charter for the Town of Winterport. The voters claimed for Winterport all possible powers of self-government. See Winterport Charter & Report that describes the voter’s powers to initiate citizen actions including a recall of all elected officials. At elections, prior to Town Meeting, the registered voters of Winterport by secret ballot elect a Town Council comprised of five Councilors, a Board of Assessors made up of three members and four Winterport residents who sit on the Board of Directors Maine School Administrative District # 22. The citizens of Winterport are smart, active, energetic and fun loving. Winterport is a wonderful place for your children to grow up and a great place for businesses to prosper. We have fun in all of our neighborhoods, developments and friendly village. Disclaimer: The Town of Winterport provides links to our residents on our site for educational and informational purposes and by no means are an endorsement by the Town of a candidate, political party, point of view, business, or ideology.